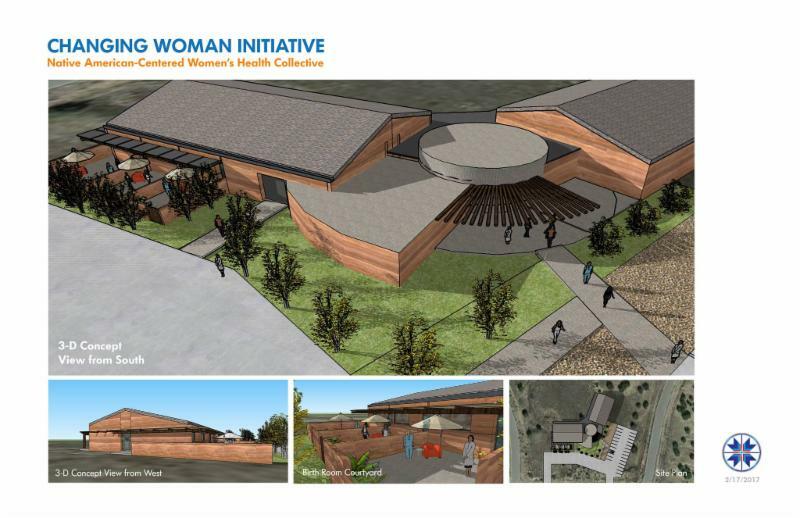 Changing Woman Initiative has focus on several areas of women’s health care, but the one that seems to prompt the most excitement is our plan for a birth center. While many of our supporters are familiar with midwifery care, some may have some questions about what exactly a birth center is. 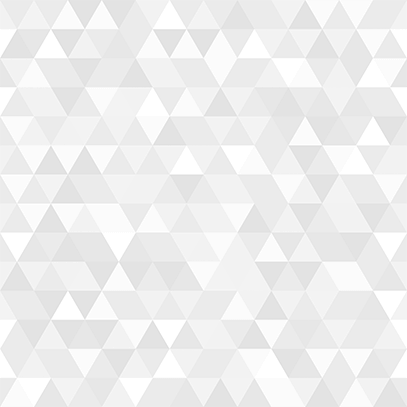 Here are some common questions and answers. Q: So what is a birth center? A: A birth center is a location where women give birth. It is not a hospital and it is not a home, but it is a freestanding location with a home-like vibe. Birth centers support natural birth and are often equipped with items which make birth easier, such as birthing tubs, birth stools, rocking chairs and nice large comfortable beds for the new family. Q: Who can birth at a birth center? A: This depends on local policies and guidelines, but the most common situation would be a healthy woman with a healthy pregnancy. Women with significant medical problems or with complicated pregnancies are typically not candidates to birth at a birth center. Q: Why would I want to have my baby at a birth center? A: The birth center concept focuses on a woman being able to birth the way she wants to. She can wear her own clothes, eat her own foods, and move and birth in any position she wishes. Each step of the care process centers the woman and her right to informed consent and autonomy. Q: Who attends birth at a birth center? A: Most often midwives are the health care providers who attend birth center births. In New Mexico, midwives have a variety of backgrounds and experiences and include certified nurse midwives, licensed midwives, certified professional midwives and traditional midwives. Other individuals who might care for a laboring woman in a birth center include doulas & nurses. Q: How does a birth center fit into the larger health care system? 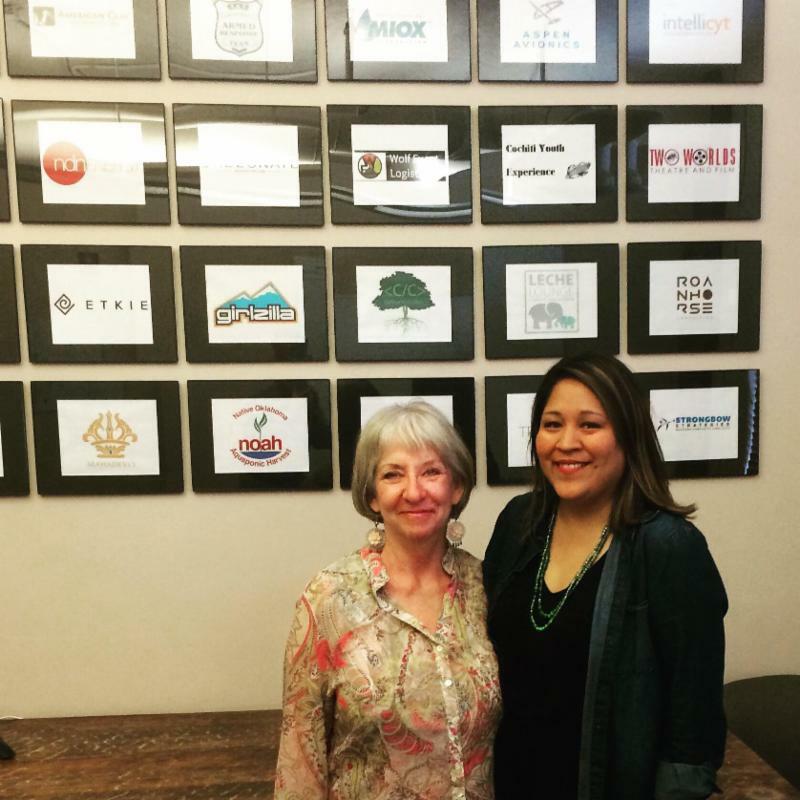 Over the course of 6 months, Executive Director and Founder Nicolle Gonzales participated in the Native Entrepreneur in Residence Program, aimed at increasing the number of new Native American owned start-ups in the community. The NEIR Program develops, finances, and houses innovative businesses and startups owned by Native American entrepreneurs. During those 6 months, she worked alongside a business mentor who helped develop a comprehensive sustainable birth center business plan and time line for the next 12 months. Like any new startup, the business plan outlines the financial strategies and operational plans so a business can be successful. She completed this program in April of 2017 and has already shared it with local tribal leaders and funders. With the many challenges of creating a sustainable birth and wellness center on tribal land, NEIR has been instrumental in making this place a reality, by giving us the tools and introduction to business development. They understand that Indigenous entrepreneurs face a challenge to balance traditional values and contemporary business values in order to create successful ventures. In addition, indigenous governance issues, such as self-government and intellectual property rights ( Gouvea, R. & Francis, J. 2016). Over the last 5 months, CWI has had the pleasure of working with Scott Moore y Medina, AIA NCARB PID, architect, community builder and co-founder of Blue Star Integrative Studio, an Indigenous American architecture, interiors and planning enterprise located in Tulsa, OK. Blue Star Integrative Studio is dedicated to quality design, environmental excellence, and smart community building. 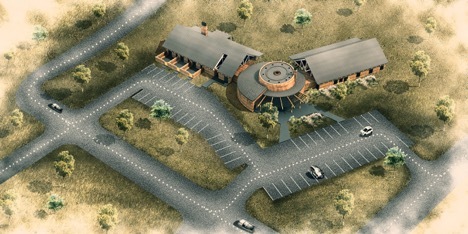 We chose Scott and Blue Star Integrative Studio to design our birth center because they understand the importance of community involvement and local empowerment for Rural and Tribal communities, as well as the unique challenges they face. Scott has also coordinated several sustainable planning projects and designed healthy, energy efficient projects in Indian country. New Mexico faces many challenges in the coming years, with limited water supply and climate changes, which is why was important to us at CWI to build a structure that is eco-friendly and reflects the cultural structures that have sustained Indigenous communities throughout the centuries. 3 family-centered birthing rooms, with the option to birth in a tub or outside on the patio. 1 large family room for family to wait, visit, and or pray for their new coming relative. 1 large kitchen-for cooking meals for the family while waiting and/or education around nutrition. 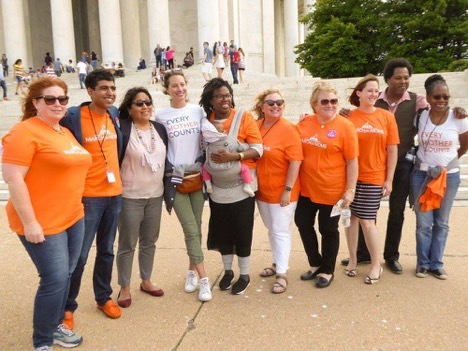 In May of 2017, Executive Director & Founder, Nicolle L. Gonzales joined the March for Moms team, as one of the Perinatal Disparities Advisors. 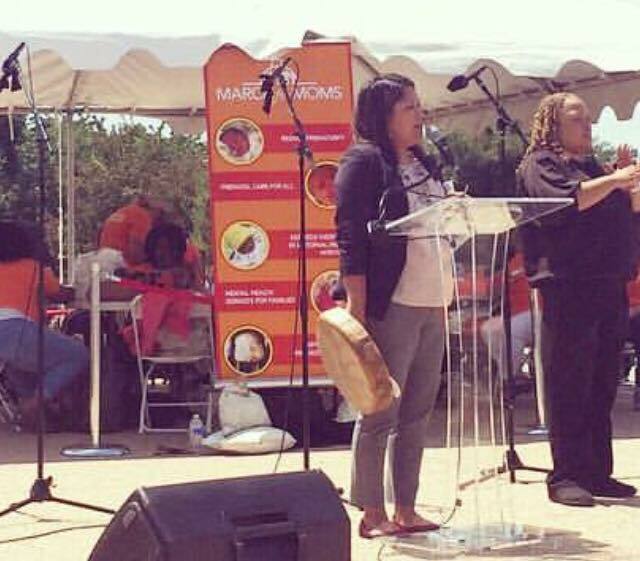 Representing Native American families, she traveled to Washington D.C., alongside representatives from ACNM, ACOG, and Every Mother Counts –to talk about the lack of access to culturally supported birth services for Native American women in Indian Country. She also talked about the environmental impact of pollutants to our water and soil, and how this impacts pregnancy. While in Washington D. C. she met with health representatives from Ben Ray Lujan’s team, as well as Senator Martin Henrich. Unlike other highly publicized health issues, maternal health and access to women’s health services continues to be up for debate at the capital. The threat of funding cuts to Medicaid, reinforces why we all need to work together for the health of our moms and families. Many are unaware of the funding shortcomings within Indian Health Services, as well as the complexities of how funding is allocated, based on need. There continues to be closures to maternity units in rural areas all over the country and this impact where women will birth and increases the stress of having to travel longer distance for care. Our health care has been in crises for a long time now. Native American women are directly impacted by any health care decisions around funding and services that congress votes. 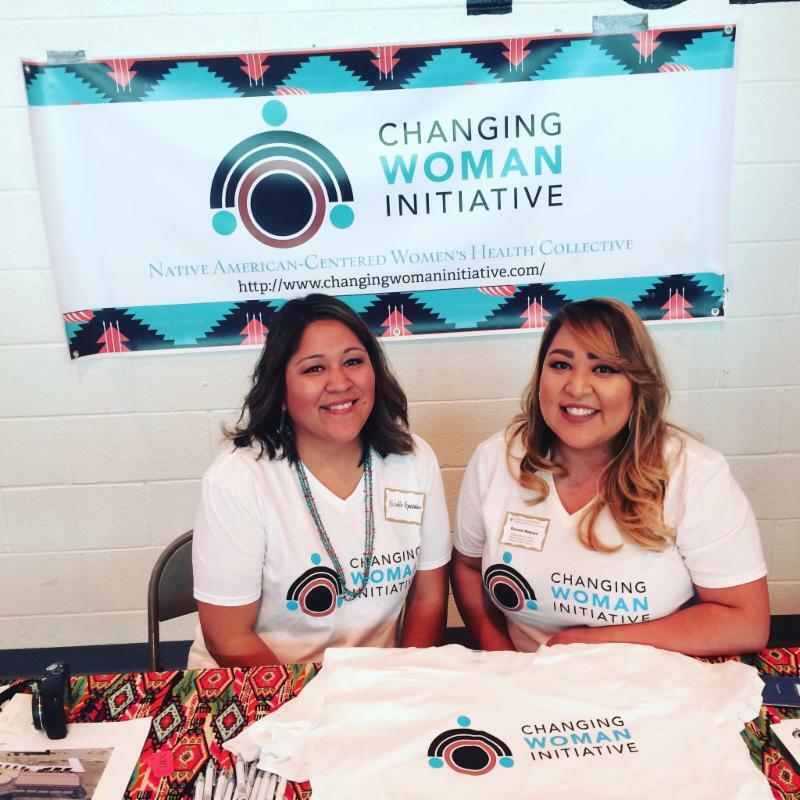 It is for this reason that Changing Woman Initiative is working to lead the way in creating a sustainable wellness framework and culturally congruent health delivery model for Native American families. Every 3 years, the International Confederation of Midwives hosts a 5-day conference, bringing together midwives from all over the globe. 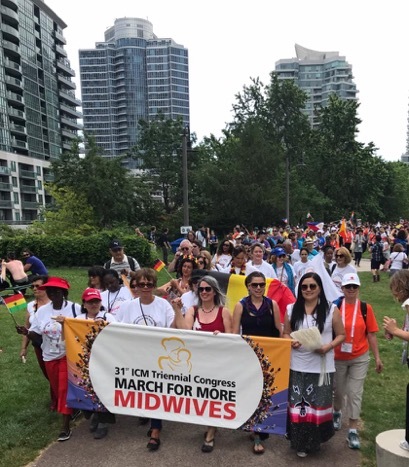 This past June, over 4,000 midwives, stakeholders, and organizations gathered in Toronto, Canada-to strategize the role a midwife will play in sexual, reproductive, maternal and newborn health spaces. 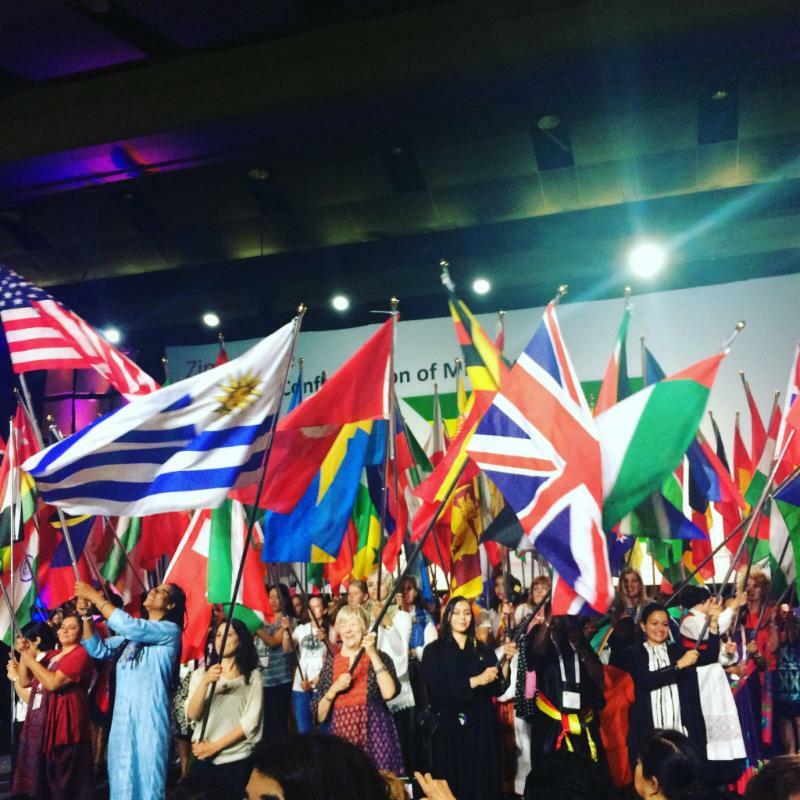 Over 113 countries were represented at this gathering and drew attention to the role of midwives in reducing maternal and infant morbidity and mortality. In the United States, there are 2 professional organizations that advocate and represent midwives. 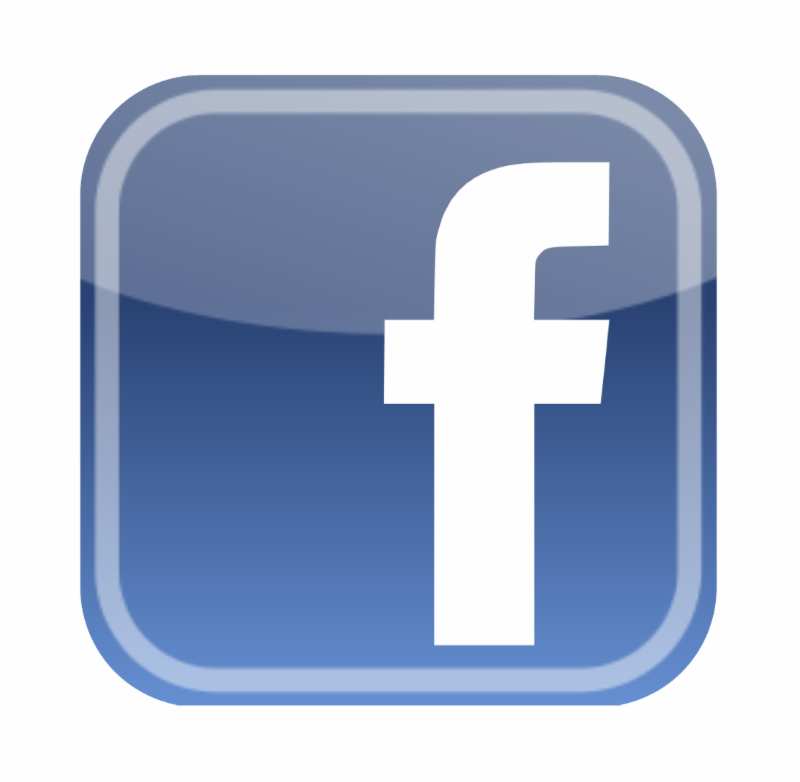 The American College of Nurse-Midwives (ACNM) and Midwives Alliance of North America (MANA). Both of these organizations, set the standard of excellence in midwifery education and practice, that strengthens capacity to work with state and federal agencies for the well-being of women and infants through the practice of midwifery. While in Toronto for the ICM gathering, midwives from New Zealand, Australia, Mexico, and Canada, gave first accounts of the impacts that federal policies have had on their Indigenous communities. All shared one message, that the return of cultural birth practices and knowledge preservation were vital to the revitalization of their communities’ health and wellbeing. 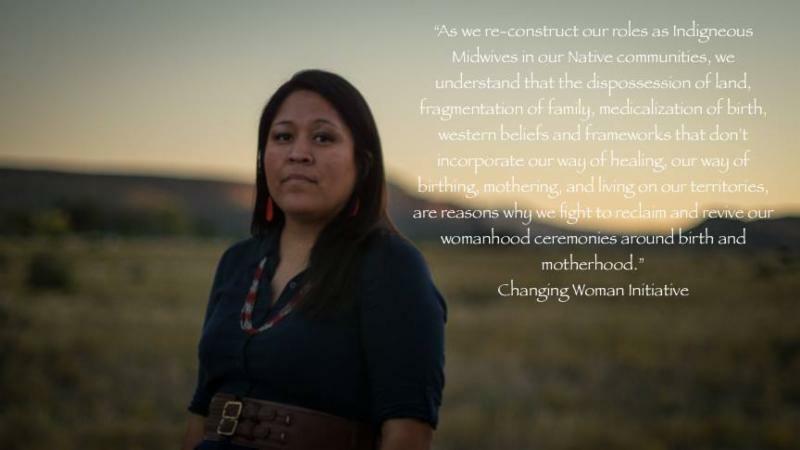 Each midwife carried their role as Midwife, with honor and as a representation of their ancestral heritage. It was during this event that our sisters from the North, National Aboriginal Council of Midwives, introduced a position statement on how ICM could strengthen their relationship with Indigenous midwives. This ground-breaking document outlines the path forward in supporting Indigenous midwifery in our communities. Promote the voices of Indigenous midwives and recognizes their unique contributions. Build linkages between Indigenous birth attendants and the midwifery community so that all reproductive health contributions are valued and enhanced. Support community self-determination in all aspects of reproductive health, including education, regulation, and care delivery. The return of birth, for some indigenous communities, is vital to their autonomy, health and connection to land and place. Recognize the systemic effects of colonization and make measurable goals to identify and close the gaps in health outcomes between indigenous and non-indigenous communities. Promote cultural safety training for midwives, other health care providers and educators. Recognize that indigenous midwives are uniquely positioned to provide high-quality care to Indigenous peoples to improve health and well-being of Indigenous communities. Share appropriate administrative and organizational support for the development of autonomous Indigenous midwifery associations. Recognize the role of Indigenous midwives as stewards of knowledge regarding traditions and rites within their communities, which support healthier communities over generations. 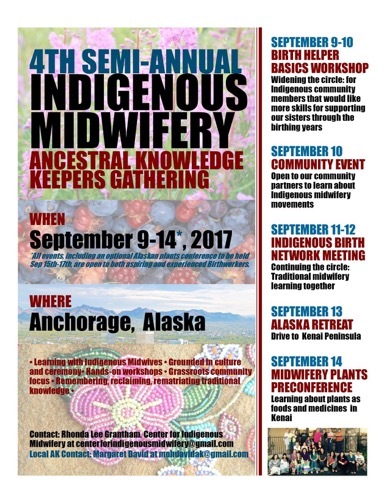 Here in the United States, Indigenous midwives continue to gather annually and semi-annually to discuss ways to support our communities through a midwifery framework. We will soon be meeting in Anchorage, Alaska to discuss the position statement put forth by NACM and to strengthen our relationships with each other through sharing knowledge from our communities. The 6-day event will include a one day birth helper basics workshop taught by Indigenous midwives and birth workers. The following days will focus on learning about the indigenous midwifery movement, networking with indigenous midwives from other communities, finishing with a midwifery focused plant medicines event. As we move into creating our unique and community focused women’s health programs, we understand it requires building partnerships and trust with the communities it is intended to serve. Which is why we are working to create a cultural advisory council of Native American women, who will help guide our organization through the challenging and humble process of weaving cultural knowledge into all aspects of our work. We honor and respect this knowledge, as we see it strengthens communities, but understand the complex history Indigenous communities have experienced over the centuries with cultural appropriation. At this time, we have already assembled an expert panel of 4 members to serve on our council. Each have been leaders in their own communities, as they have done the humble work of weaving this knowledge into the work that they do already. However, we seek to add 4 more community members from any of the surrounding 8 Northern Pueblo communities to serve on our council. Council members will work closely with our women’s health, lactation, and nutritional program developers in the coming year, as they work with the surrounding communities to gather information around language, medicinal herbs, creation stories, birth traditions, and women’s songs, all of which will be the foundation of our work at the birth & wellness center. Ursula has worked many years in promoting the integration of Navajo cultural concepts into health care practice for health care professionals. She serves as Chairperson of the Traditional Navajo Medicine Committee at CSU, NAIHS. 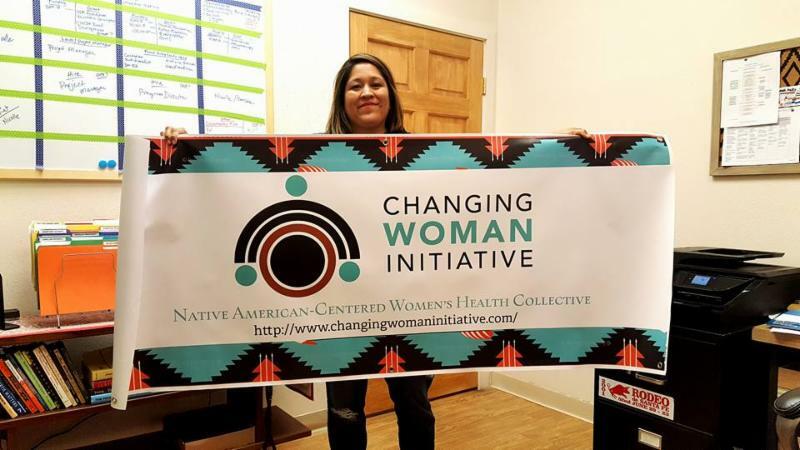 She served on the Navajo Cultural Experts Committee to assist in developing the Navajo Wellness Model curriculum, funded by the Navajo Area Indian Health Service, and now used Navajo area wide by various human and social service agencies. She has lectured locally, nationally and internationally on various Navajo cultural topics. In August 2013, she received the Chief Nurse Officer Award in recognition of outstanding contribution to Nursing. She is a member of the Delta Omega Honor Society of Public Health, Gamma Epsilon Chapter. 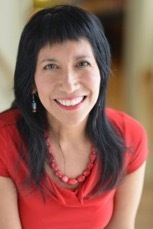 Currently, she is co-Founder and President of the Navajoland Nurses United for Research, Service and Education, Inc. an organization offering biannual symposium on various health topics and native medicine. Is a founding member of the Mewinzha Ondaadiziike Wiigaming, a Native American Indian organization committed to community centered holistic care for all pregnant and birth mothers, and their families. Services will be delivered by knowledgeable, respectful and compassionate caregivers while honoring the wisdom that exists in all cultures for the celebration of birth. 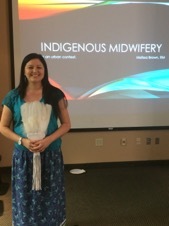 A Navajo/Anishinaabe registered midwife Melissa is committed to breathing life back into indigenous birth knowledge as a way of restoring health and wellbeing to indigenous community. In her work, she is actively involved in birth justice issues, community building and raising awareness on issues related to women's health. Melissa is a member of Kagike Danikobidan council, the advisory committee on Aboriginal women's issues to the College of Midwives of Manitoba. She is also a member of the core council of the National Aboriginal Council of Midwives. Melissa is the project lead and co-founder of the Manitoba Indigenous Doula Initiative, which will empower indigenous women to become specially trained birth companions that support women and families throughout pregnancy, birth and the postpartum period. Melissa's vision and commitment to ensuring that women have access to culturally responsive care while they are pregnant.